There's nothing like a late equalizer on the road to make 1) a draw feel like a win and 2) José Mourinho feel sad. Arsenal are now unbeaten in 17, but their performances in the last few weeks haven't exactly been convincing. Still, with a shot at winning their Champions League group for the first time in five years, how much can you complain? Before moving on to tonight's match, I want to share an anecdote. On Monday night, I went out to a local bar with my laptop to grab a pint and do some writing along with a friend of mine and, upon arriving, found that the bartender had just put on a re-airing of Saturday's match on the only television in the bar. During the course of the opening exchanges, it became clear to me that the bartender didn't know what happened in the game and, while I'm not certain, might not have realized the game wasn't live; according to my friend, who was earlier than I was, he had switched off the actually live West Brom v. Burnley match. Also, as the game went on, it became clear to me that he was rooting for Manchester United, at which point I decided to keep my eye out to see how he would react to Olivier Giroud's equalizer. The answer? He turned the television off entirely. 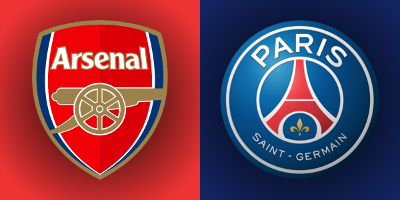 So, here we are, matchday five and Arsenal's biggest home match of the group as they host an injury-hit Paris Saint-Germain side with first place on the line. Again, if Arsenal win, they will clinch first place in the group for the first time since 2011. Of course, that year Arsenal were unfortunate enough to draw AC Milan in the round of 16 and then spotted the Italians four goals in the first leg, so winning the group doesn't mean a cakewalk. I mean, right now, Real Madrid and Bayern Munich are sitting second in their respective groups. There is no easy path to a Champions League title, but winning the group should, at least on paper, make the path simpler. So let's hope Arsenal get back to winning ways and make a statement of intent tonight. What Can Arsenal Clinch Tonight? The winner of this fixture is guaranteed to win Group A, as they will be three points clear at the top with one match to play and they will hold the head-to-head tiebreaker, since the first meeting ended drawn. If this match ends in a draw, the situation gets a little more complicated. Both Arsenal and PSG are already through to the knockout phase, so this is only a battle of positioning. But if the match ends up drawn, then both sides will remain level on 11 points with one match remaining. 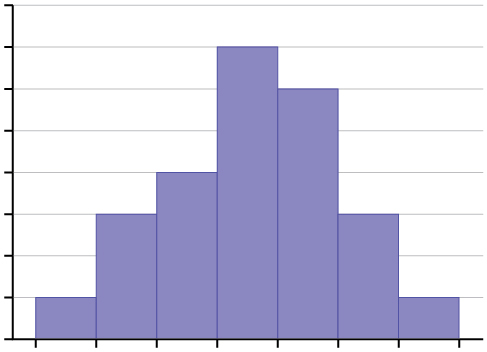 Assuming both sides proceed to win on matchday six, then the winner of the group will be decided by tiebreaker. If Arsenal and PSG have played two draws against each other, then the first possible tiebreaker to come into play would be away goals in meetings between the club. A 0-0 draw would suit Arsenal at home, as they scored once in Paris. A 2-2 draw or a greater score draw gives the advantage to the Parisian side. A 1-1 draw in this match would see that tiebreaker level as well, which would then mean total group goal difference will decide the winner. Arsenal currently have a three goal lead (+9 to +6) in that department. Again, if the match ends drawn tonight, then both sides will still need to win on matchday six and Arsenal's trip to Basel is likely more difficult than PSG's home match against Ludogorets. Arsenal are treading water without Santi in midfield. It doesn't sound like there are any changes to the available squad players after Saturday's draw in Manchester. Alexis Sánchez played the match while bundled in tape, but came through fine. Aaron Ramsey and Theo Walcott sat out of training for some extra recovery, but are both expected to be alright. Lucas Pérez is back in training with the first team and is ahead of schedule, but still remains short of a return. 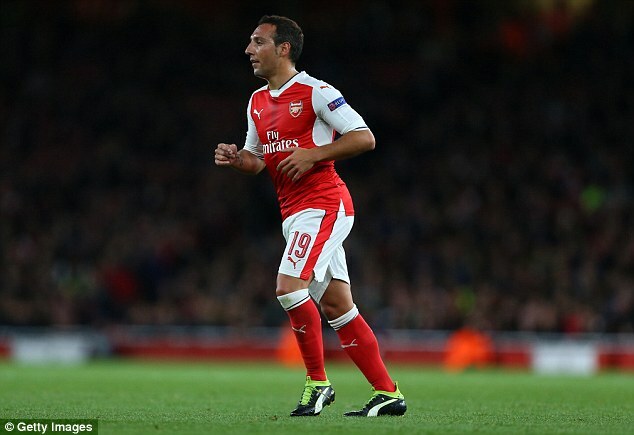 At yesterday's press conference, Arsène Wenger was asked about a timetable for Santi Cazorla's return. Wenger's response was that "with inflammation it's always hard to tell," which isn't really much of an update at all, now is it? He later clarified that he's likely two weeks away from a return to training and two more weeks away from full fitness. With everything in Group A on the line, I'd expect a strong outfield lineup, plus a return for cup keeper David Ospina. Predicted XI: Ospina, Jenkinson, Mustafi, Koscielny, Monreal, Coquelin, Xhaka, Ramsey, Walcott, Özil, Alexis. it really difficult to play right back. In a bizarre turn of events, right back Serge Aurier has been denied entry to the United Kingdom, as he has had his visa revoked at the last minute. The Ivorian international is currently in the midst of an ongoing court case in which he has been charged with assaulting a police officer. Aurier was found guilty of elbowing the police officer when the trial originally concluded in September and was sentenced to two months in jail, but the right back is free pending an appeal. 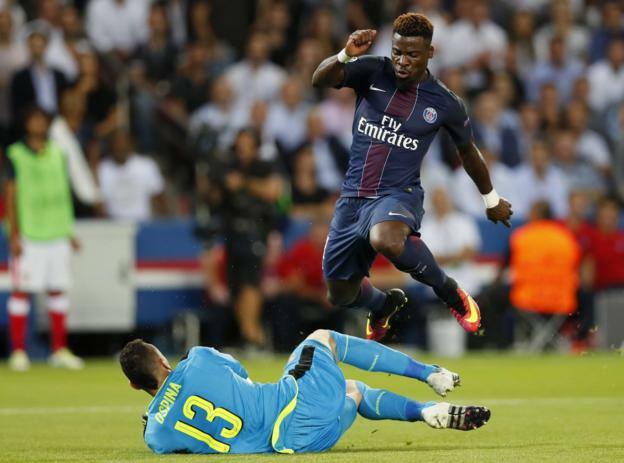 Aurier was named man of the match in the reverse fixture, so this is fortuitous for Arsenal. Ángel Di María and Alphonse Aréola have both made the trip to London, but are both doubts through injury. Di María appeared to have injured his thigh at the weekend, while Aréola has been out since playing on matchday four against Basel. If Aréola cannot play, Kevin Trapp will make his first start of the European campaign. Adrien Rabiot, Layvin Kurzawa, and Javier Pastore did not make the trip. Predicted XI: Trapp, Meunier, Thiago Silva, Marquinhos, Maxwell, Verratti, Motta, Matuidi, Moura, Jesé, Cavani. coming off with a thigh injury. In terms of European form, Arsenal and PSG have matched each other week-by-week in the Champions League this year, which is why this match is for all the marbles. Since their matchday one draw, PSG have beaten Basel twice and Ludogorets once, while Arsenal have beaten Ludogorets twice and Basel once. Arsenal extended their unbeaten streak across all competitions to 17 last weekend with their 1-1 draw at Manchester United, but it's really starting to feel like this unbeaten run is papering over the cracks now. It feels like this is an Arsenal team that is doing just enough to avoid losses, but ultimately, three draws is the same as two losses in terms of dropped points. PSG are unbeaten in nine since they lost at Toulouse on September 23. That was only their second loss of the season, having lost to Monaco back in August. This means that they're not running away with Ligue 1 this season; they currently sit in third in the table, behind Monaco for second on goal difference, three points back of Nice at the top. 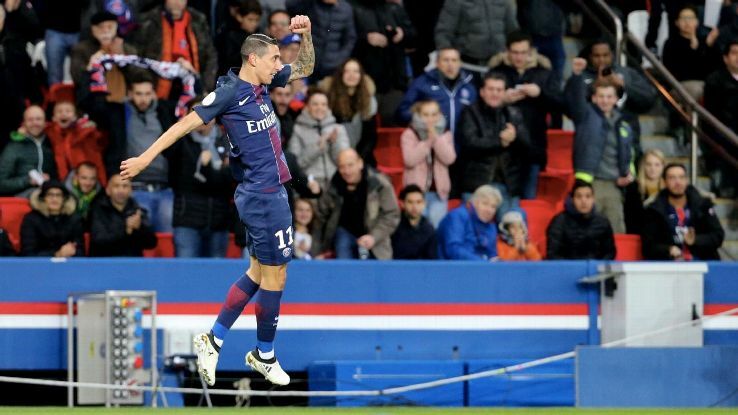 Over their nine match unbeaten run, PSG have won eight; three of those wins have come in Europe, five have come in Ligue 1, and the other match was a 0-0 draw with Marseille. 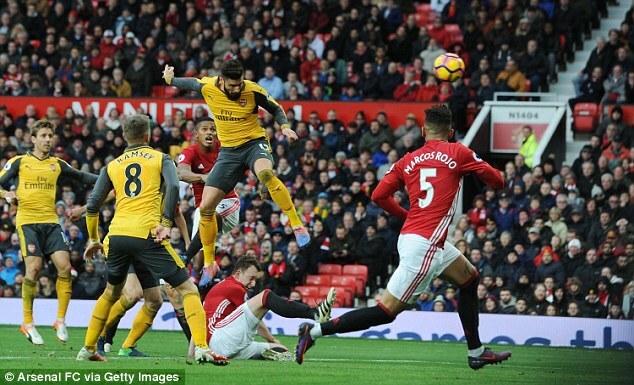 Arsenal stole a point from the reverse fixture on matchday one, similar to the way they stole a point from Old Trafford last weekend. 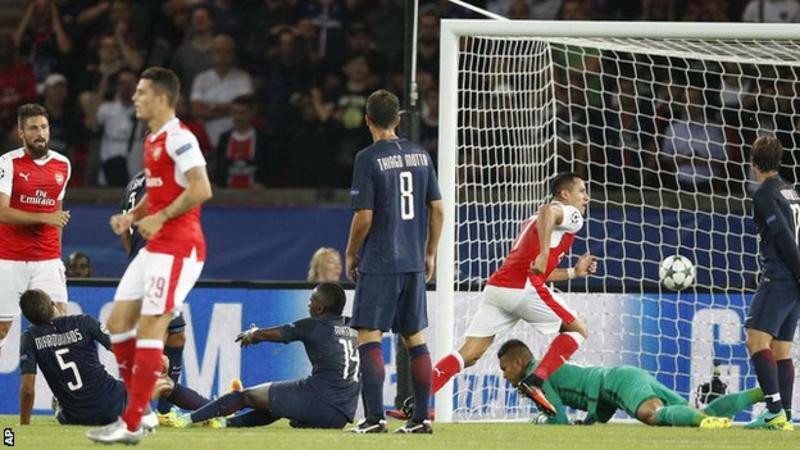 However, Arsenal found themselves trailing much sooner than the 69th minute in Paris back in September; Edinson Cavani put the home side ahead 1-0 on just 42 seconds, but David Ospina kept the door shut the rest of the way, making three saves for the Gunners. 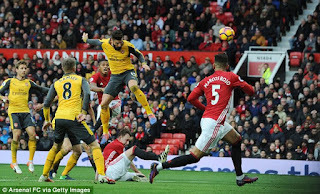 Arsenal managed to find themselves level on 77 minutes when their first shot on target rebounded to Alexis, who buried the equalizer. Late on, both Olivier Giroud and Marco Verratti were sent off. Arsenal have a mixed record at home against French sides, winning just five of their 11 such matches. PSG's record in England, however, is worse. They've only won once on English soil in eight tries; that came against Chelsea last year in the round of 16. One round later, however, they lost at Manchester City. Final, doing his job polemically, apparently. 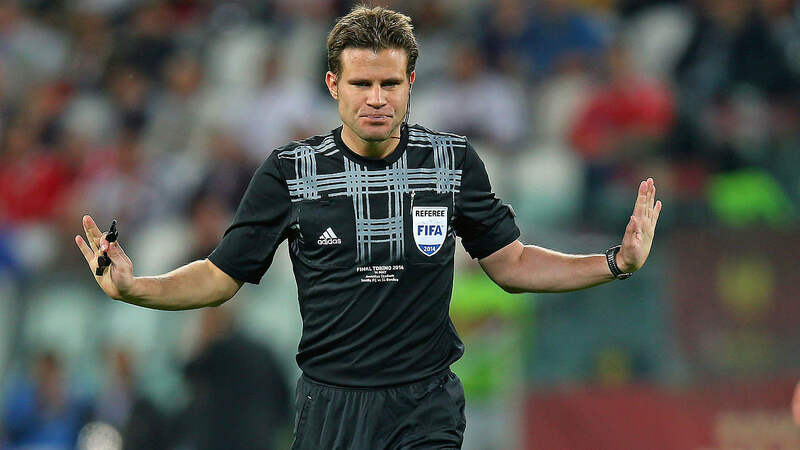 The match officials are from Germany; the referee is Felix Brych. I feel like it's been an exceedingly long time since Arsenal have had a German referee in the Champions League, largely a consequence of always finding themselves playing in a group with Borussia Dortmund or Bayern Munich. The last time Arsenal had a German referee, it was Deniz Aytekin for the first leg of the 2015 round of 16 against Monaco, which was a terrible result for the Gunners. Prior to that, the last time a German referee worked an Arsenal match was Wolfgang Stark in a 2010 group stage game against Partizan Belgrade. This will be Brych's first Arsenal match. He has previously worked two PSG matches; both were road wins for the French sides and one of them was even in London. In the 2013 group stage, Brych worked a 4-1 PSG win at Olympiacos and in March, he worked PSG's 2-1 win over Chelsea at Stamford Bridge which saw them through to the quarterfinals. In other semi-relevant matches Brych has worked, he took charge of the England-Wales match at the 2016 Euros, which was England's only win at the tournament. He also worked a scoreless draw between Leicester City and Copenhagen in this year's group stage. In terms of honors, Brych worked the 2014 Europa League Final, in which Sevilla beat Benfica on penalties. The match is described on his Wikipedia article as having been "polemic," which doesn't sound right, does it? John Painting is a contributing writer to the Modern Gooner and all around cool dude. You can follow him on Twitter @zorrocat where you could have followed that bartender anecdote live as it was happening.